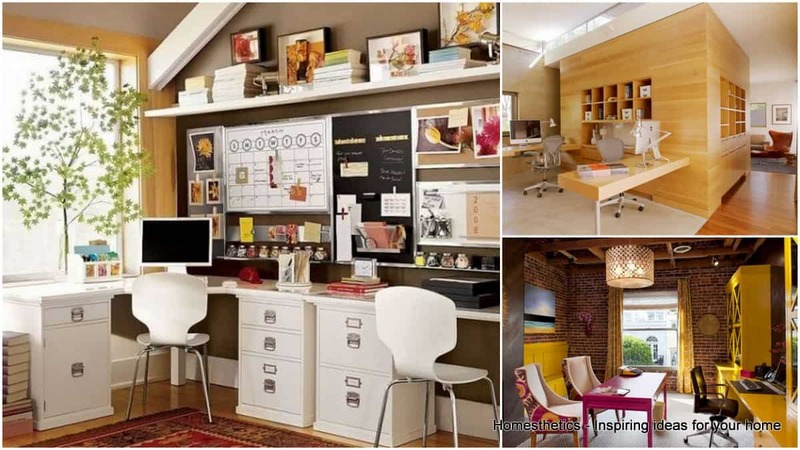 Replace The Classical With Marvelous Rattan Furniture Ideas | Homesthetics - Inspiring ideas for your home. Furniture can be made out of a variety of materials and while iron and wood are the first options, there are other candidates in line. 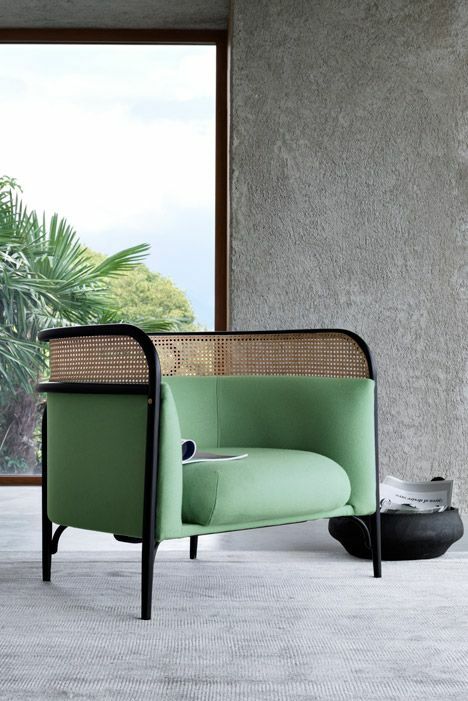 One particular material is often used because of its flexibility and natural lovely features- rattan. When talking about rattan, sunny beaches, white sand and hot summer days may enter one’s mind. 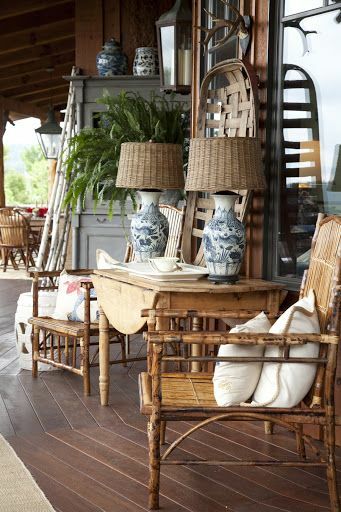 But rattan furniture ideas are stunning even at any given season and in any type of home, cast a glance. A sun-room becomes more cheerful and colorful when lively colors are used not only for the decorations but also for the furniture. While usual furniture is good enough, having it in rattan will make it more interesting. Since rattan furniture can be left with its natural color or painted in other hue you might find appropriate, having a colorful rattan sofa set makes a sun-room a lovelier place to stay in. Rattan seats often have a horseshoe design, and this is a classic example of a classic one. 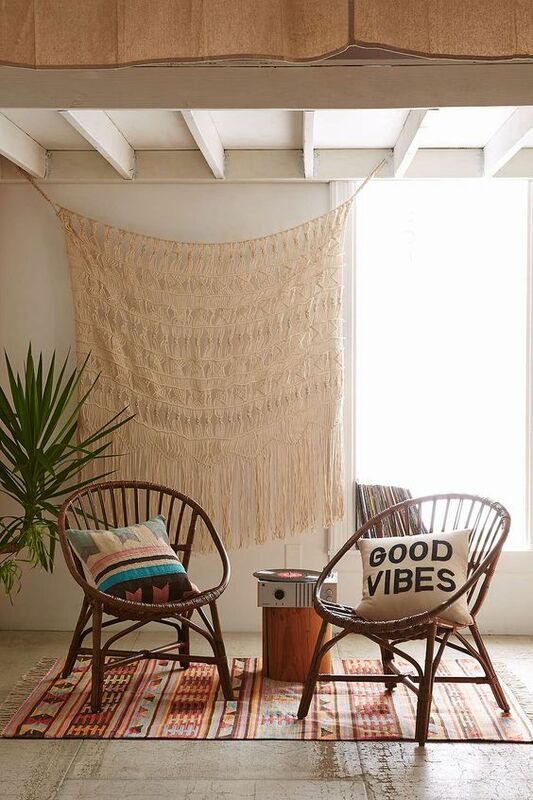 This rattan furniture idea can easily remind someone of the beach and the sun. The large leaf prints also scream sun, sand and blue waves and all the fresh things that only the beach and sun can offer. 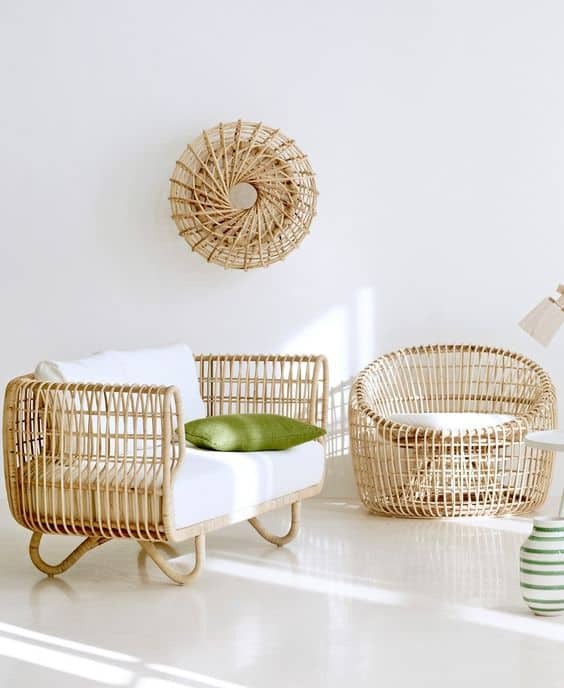 People who thought rattan can only be used for a beach theme will definitely get amazed by this rattan furniture idea. 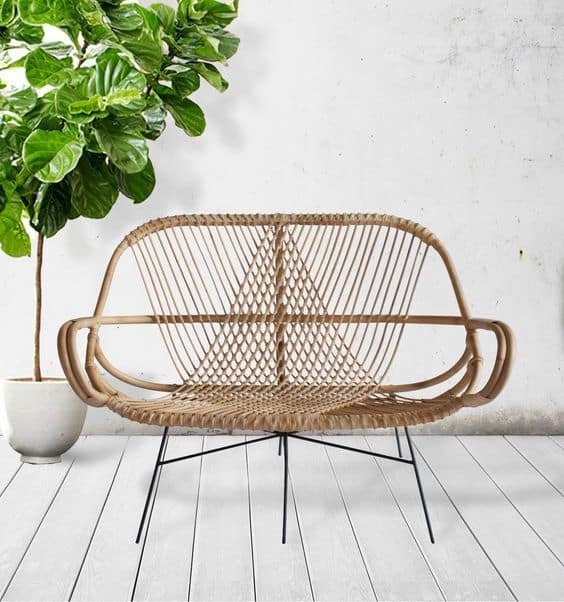 This vignette rattan offers total comfort, looks sleek and would totally fit any modern home, a great alternative for larger living room sets. 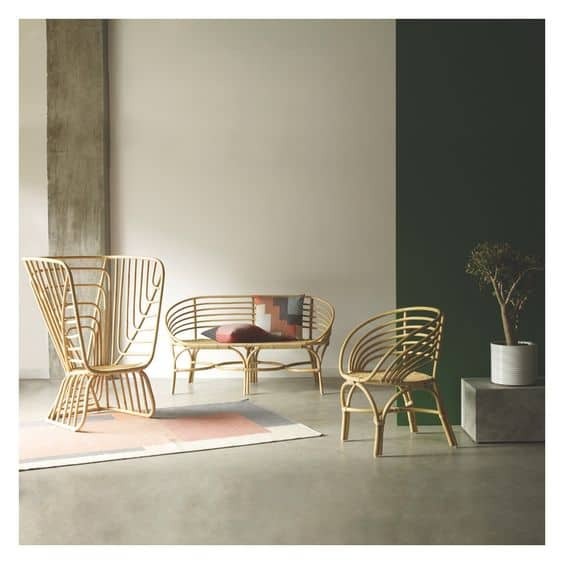 Rattan is a material easy to shape and bend and still retains its strength. This is why it is best for furniture that features an organic shape .This modern seat with dark bent rattan and teal upholstery is perfect for people who want something classy in a perfect twist. Sattie rattan with personalized pillows can make a corner cozier and more intimate. 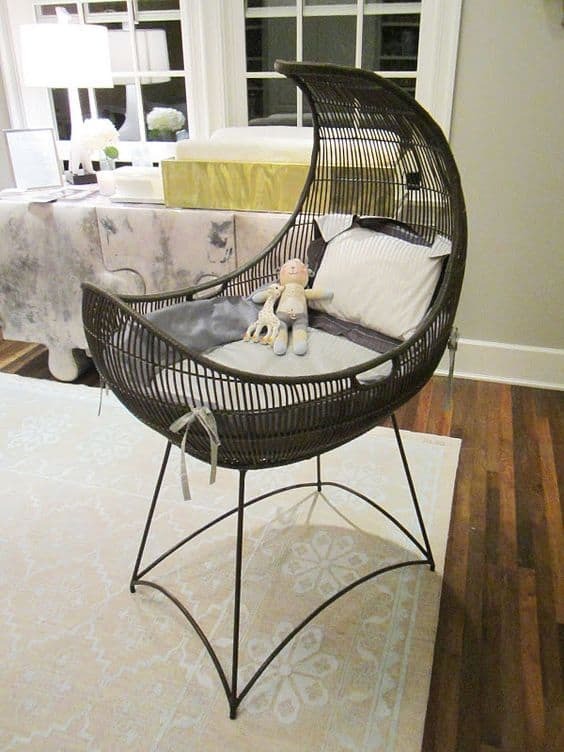 Rattan furniture ideas like this sattie can be easily used to decorate a personal corner and still look stunning. 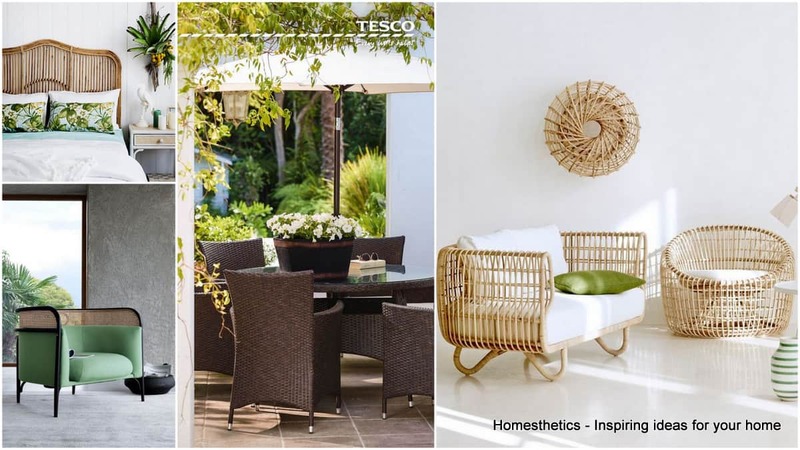 Transforming the porch into something more beach-related and summer ready can be achieved with this rattan furniture set that is fresh on the eyes and never gets out of style. Living a luxurious life does not always mean you need to acquire expensive modern furniture. Sometimes the best furniture that fits the modern luxurious life is made of sturdy, neutral rattan. This white and blue ensemble and the natural brown of rattan makes this open space all the more stunning. Every curve and aspect of this rattan chair screams comfort and beauty. 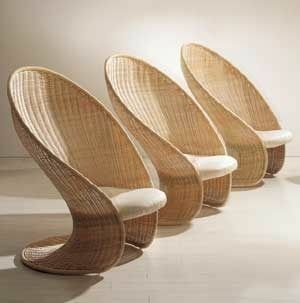 Rattan is definitely a great material that can be shaped in many ways compared to other materials. 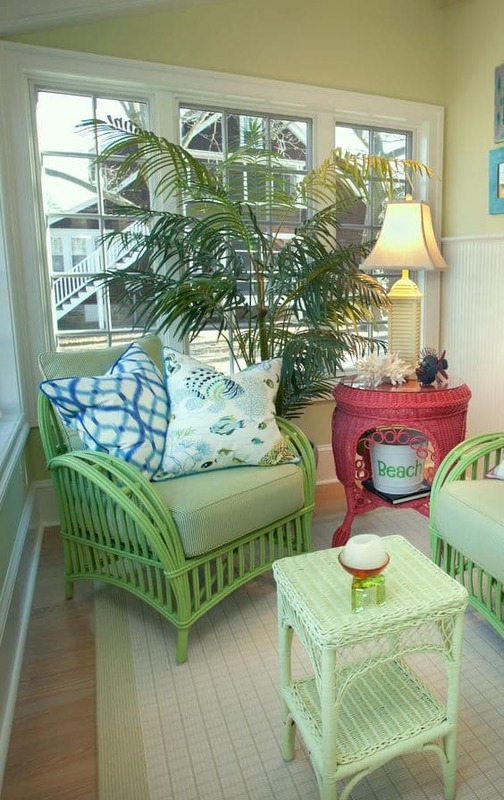 The natural color of rattan is also very fresh for the eyes, which makes it easier to mix and match with vibrant hues. This rattan diamond settee is both simple and sophisticated in terms of design and style. This is sophisticated enough to fit modern homes, but features a simple design that will not overpower other furniture. Afternoon tea is best enjoyed seated on a beautiful garden bench or chair. The simplicity of the below design screams pure elegance and can be featured in any interior design, be it modern or classic. 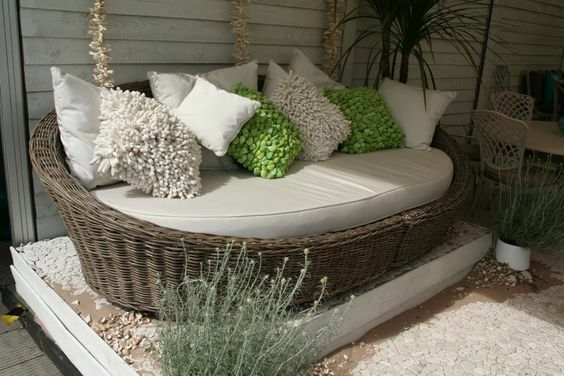 Daybeds, whether placed inside the home or outside the garden, are very dreamy. Add in white pillows and soft draperies and you have a place where anyone would want to spend more time in. Privacy inside a home especially for the bedroom is important but may not always be available in all homes. Studio type homes need a little creativity in creating privacy for the bed area. 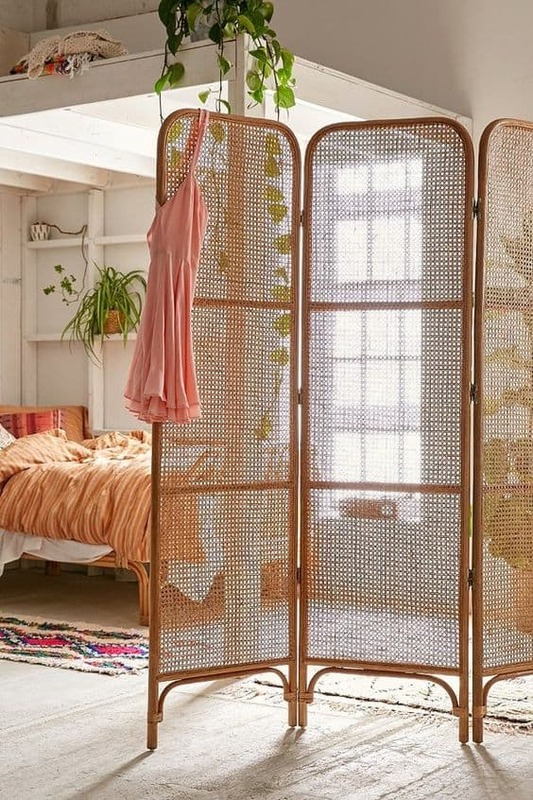 This classic rattan screen offers just the right privacy but does not take much of the space and allow light to flow through. House doctor chairs are a lovely addition to a home’s porch, office or coffee area. Rattan house doctor chairs will have the right color, shape, and effect in a room or corner without overpowering other furniture or the whole room. Since rattan is so flexible, setting it up in curves and loops is not as hard as it seems. 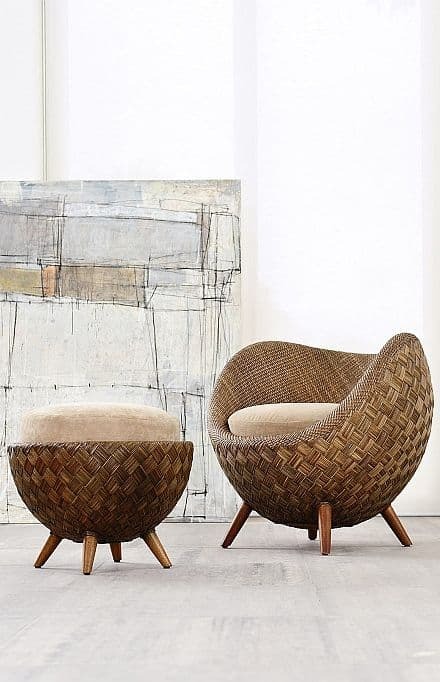 This makes rattan more ideal for contemporary designs, just like this rattan seat design. Searching for a cool bed is never easy, but this rattan bed can make the tricky and hard easy. 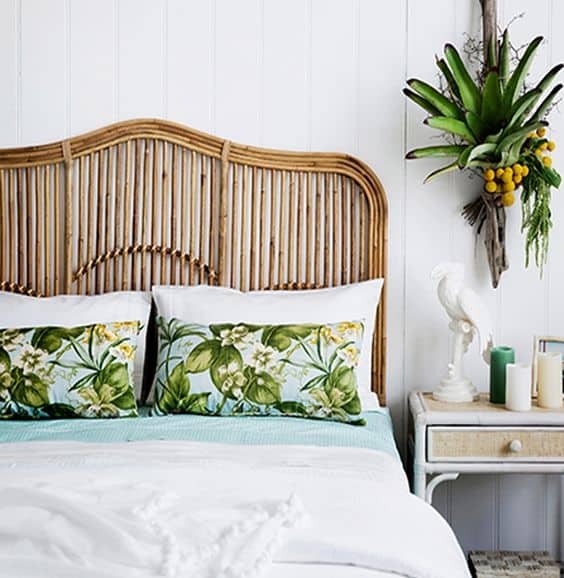 This rattan made bed looks anything but ordinary and can definitely make any beach bums in love in seconds. Rattan furniture ideas are not complete without a right rattan table. 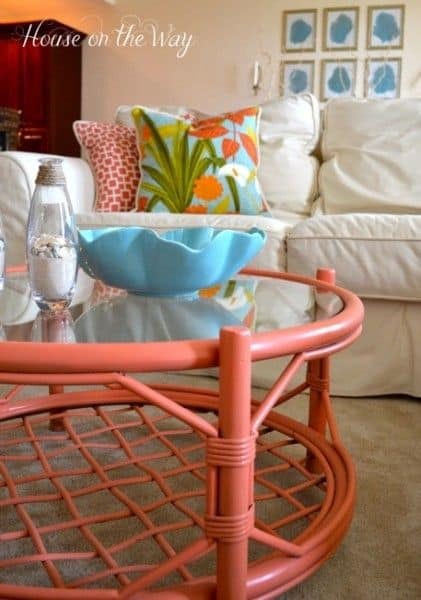 This rattan coffee table is cute, the design fits the whole room well and looks extra cute with the pinkish hue. A baby’s security and comfort when sleeping are parents’ pet peeves. 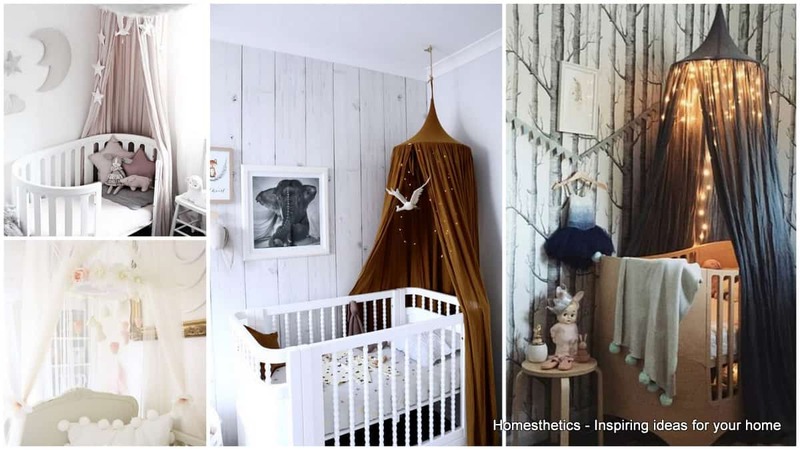 Though wood or metal cribs and bassinets are common choices, this rattan bassinet will definitely make a parent think twice on buying the common ones. It is dreamy and definitely brings out an attractive charm while keeping the baby safe at all times. Daybeds are dreamy no matter the design. They are big enough for a person to sleep on for hours and comfortable enough to just sit and finally finish a book or just idle around. 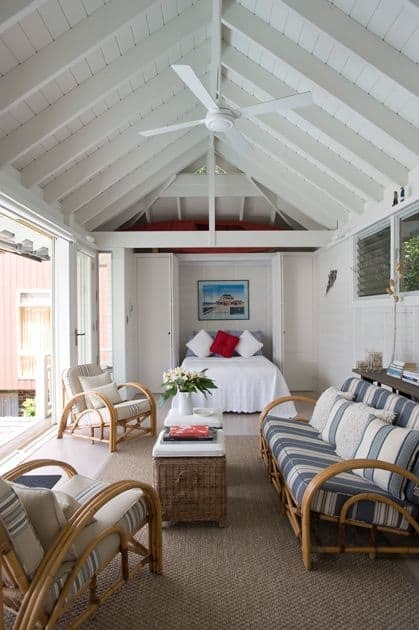 Daybeds made from rattan are a welcoming scene for a tired person who simply wants to relax. Dining in the garden is refreshing and creates a great change of ambiance. 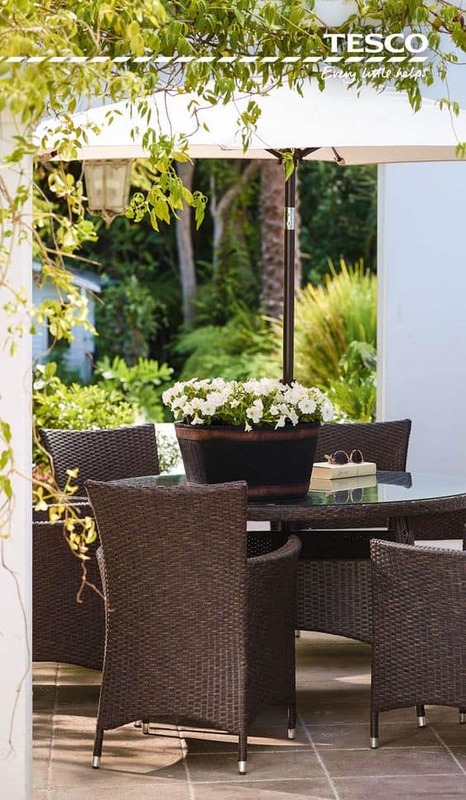 Adding this perfect dark rattan garden dining set infuses the perfect mood for eating without compromising the right comfort and style. When thinking about rattan furniture, seats, sofas and tables are the often ideas that come to mind. 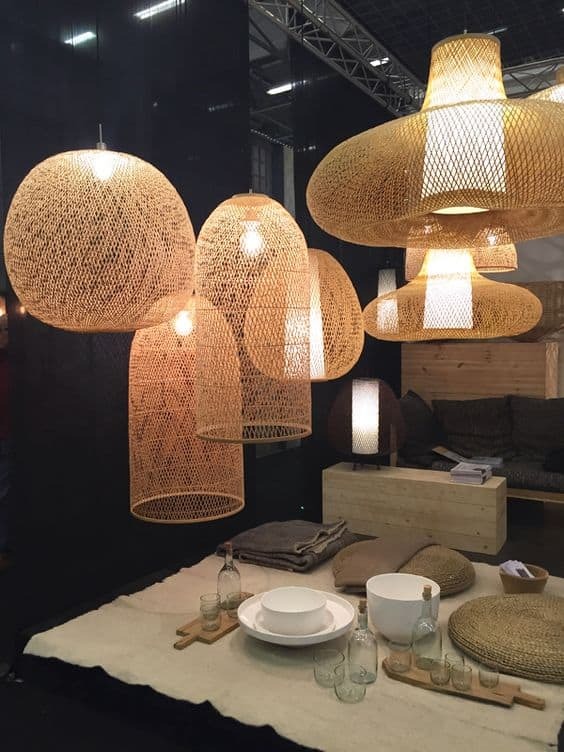 But these pendant lamps made from rattan are equally stunning and useful. Whether placed inside the living room, dining-room or kitchen area, these pendant lamps can definitely light up the room effortlessly. 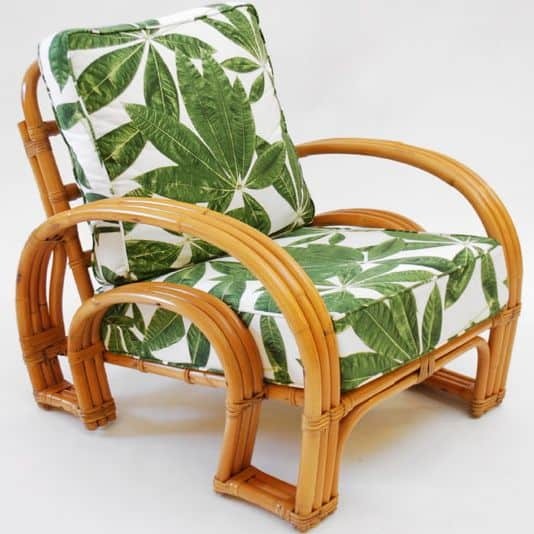 What is your take on Rattan Furniture ? Feel free to share your ideas in the comment section below.